“More importantly, we continue to trace out the ‘reflexive rally’ path. However, my guess is we are not likely done with this correctionary process as of yet. The problem which now arises is the short-term oversold condition, which supported the idea of a “reflexive rally,” has largely been exhausted. Furthermore, the now declining 50-dma, which has also crossed below the 75 and 100-dma as well, suggests that some variation of “Option 2” noted above is likely. This is particularly the case as we enter into earnings season where estimates are extraordinarily high which provides a backdrop for disappointment. Selling laggards and raising cash. As a reminder here are the basic rules to follow. 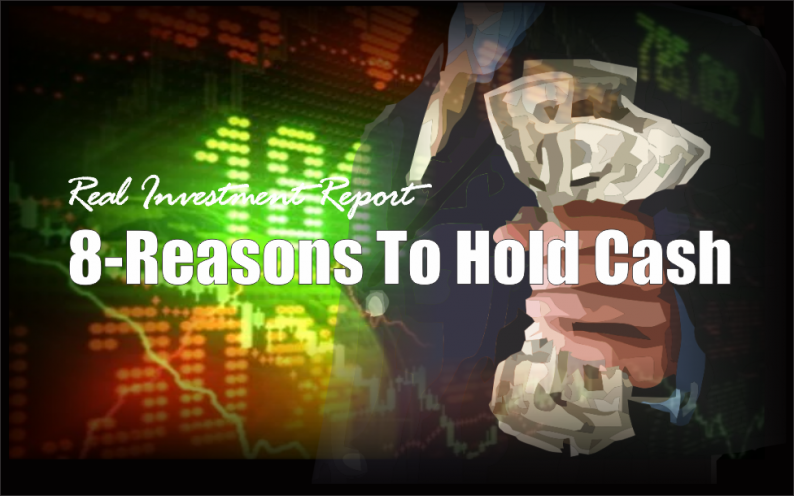 Take profits in positions that have outperformed during the rally. Is The Bear Market Over Already? 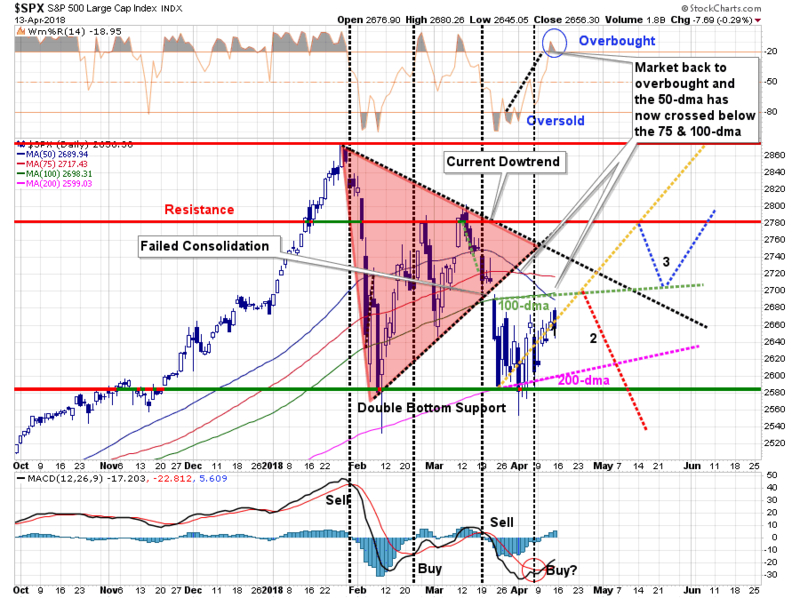 Markets Rally As Expected…Now What?